It is a harrowing scene and one that features in a new film, Balls, co-written and directed by former model: the actor, activist and 2016 Foundling Fellow, Lily Cole. 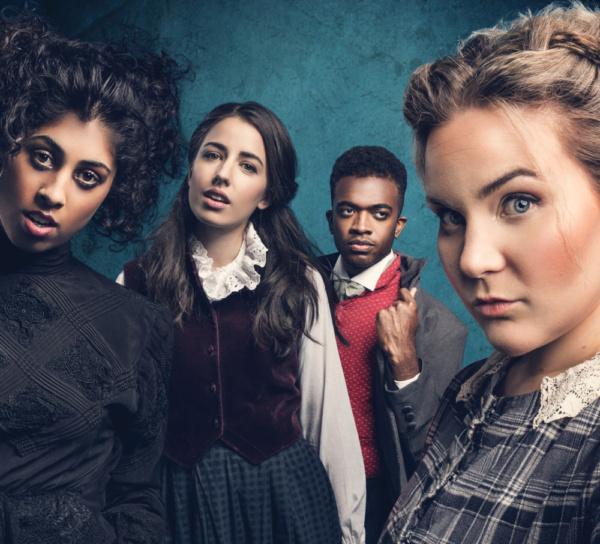 A joint project with the Foundling Museum, the Brontë Parsonage, and RRU News, the film marks the 200th anniversary of Emily Brontë’s death and recognises one of the most famous foundlings in literary history: Heathcliff from Brontë’s Wuthering Heights. Black Peggy’s child, like Heathcliff, was born in the 18th century. The result of a seduction when she was just 14. Mary Ann, Brontë’s near contemporary, gave up her child in 1848, the year of the author’s death. As part of the project the film is simultaneously on display at the Brontë Parsonage. It is accompanied by items from the Foundling Museum. Never afraid to rebel against expectations, the lives behind the pages expose a struggling, squabbling, ferociously driven, drug-fuelled crash and burn trajectory from obscurity to celebrity and ultimately to their untimely deaths. Coupled with a rock score from Christopher Ash (Showstoppers - Oliver Award winner for Best Entertainment), book and lyrics by Carl Miller (Emil and the Detectives, National Theatre), directed by Adam Lenson (Superhero), the Brontës ask - was it all wasted? The title of the article Often rebuked, yet always back returning is a bit of a problem as the poem's attribution to Emily is doubtful. I suoi occhi avevano un colore indefinibile. A volte erano blu, talvolta si incupivano e viravano sul grigio scuro. Uno sguardo inafferrabile e impenetrabile che rifiutava di essere definito o inquadrato. Così è anche il suo unico romanzo il capolavoro Wuthering Heights (in italiano Cime Tempestose) che l’ha consacrata alla storia. Sono passati 200 anni dalla nascita di Emily Brontë, una delle più grandi scrittrici della letteratura inglese. Della vita di questa geniale autrice si sa ben poco, nonostante la scrittura sia stata fedele compagna della sua breve esistenza spezzata dalla tisi a soli trent’anni. 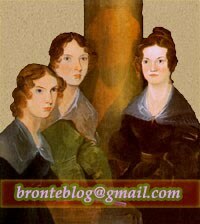 Il Bosone (Italy) also posts about Emily Brontë's bicentenary. Amid a slow housing market, buyers attracted to good schools prop up prices in the moors of northern England made famous by Emily Brontë novels. The wild, windswept moors of northern England, where the Brontë sisters lived and set their novels, holds a fabled place in literary history. I first read this when I was a young girl, way before I had ever had any real romance of my own … but Kathy’s (sic) speech to her maid Nellie about her love for Heathcliff always stayed with me: “Nelly, I AM Heathcliff — he’s always, always in my mind — not as a pleasure, any more than I am always a pleasure to myself — but, as my own being.” It’s still for me the most passionate and fatalistic novel about romantic love. Most rock stars age badly and end up embarrassing to everyone (eg Morrissey, I rest my case). Patti Smith is, however, the absolute opposite. I’ve always liked her but it was her evocative and honest autobiography Just Kids that made me realise how really special she is. At 71, she remains original, thoughtful and always interested in the world. She is also a huge Brontë fan (as am I) and has a passion for graveyards (as I do). Far more conventional is Susan Elia MacNeal’s “The Prisoner in the Castle” (Bantam, 320 pp., $26). It centers on Maggie Hope, an English spy during WWII who in seven previous outings has proven her great intelligence, strength and bravery. She has been an avid reader and is often found in a corner absorbed in her favourite novels. Her favourite books include Charlotte Brontë's Jane Eyre and Roald Dahl's Charlie and the chocolate factory. A literature festival winner (and Brontëite) on DNA. El Punt-Avui (in Catalan) introduces some Brontë family elements in its Wuthering Heights discussion. A test in Your Tango mentions Wuthering Heights. The Eyre Guide continues listing Charlotte Brontë’s original edits from her Jane Eyre manuscript. The Brontë Parsonage Blog reviews Emily Jane Brontë and her Music by John Hennessy.